Birds, insects, reptiles, amphibians, and fish falls under the category of oviparous, as they lay eggs and give rise to more of their kind, in order to increase their generation. While mammals like humans, cats, dogs, lions, tigers, etc are said as the viviparous, as they directly give birth to the young ones. Fertilization is the union of two nuclei, one is of paternal origin and the other is from the maternal origin which finally fuses to form an embryo. There are different patterns of fertilization, among them internal and external fertilization is very common. Internal fertilization is the way where eggs are fertilized inside the female body, while in external fertilization it takes place outside the female reproductive tract. Oviparity and viviparity are also the internal or external fertilization. The ultimate target of any fertilization is to increase the members of their species, whether it is in plants, animals or any microorganisms. Like the other patterns, these also have certain pros and cons, as it is said that internal fertilization is safe than the external one. In this content, we will be describing the oviparous and viviparous and how they variate from each other. Oviparous are the animals which lay fertilized or an unfertilized egg. Viviparous are the animals which give birth to the young ones, and their development occurs inside the female body (mother's womb). Lay/Give birth Oviparous are known to lay eggs, which can be fertilized or unfertilized. Viviparous animals directly give birth to the young ones. It can be internal or external fertilization. It is internal fertilization. The development of the embryo takes place outside the embryo. 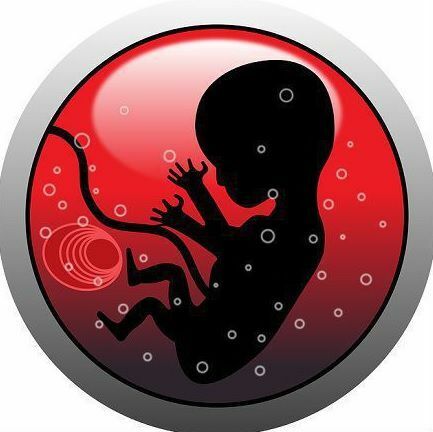 The development of the embryo takes place inside the embryo. The embryo receives the nutrients from the egg yolk. The embryo receives the nutrients from the mother. Less chances of survival, as the eggs are laid in an open environment. More chances of survival, as proper protection and nutrition, is provided to the embryo inside the mother's womb. Insects, amphibians, fish, reptiles, birds. Mammals like cats, dogs, humans, elephants, lions, tigers, etc. The animals that lay their eggs in order to produce their offspring are known as oviparous animals, while the process is called as oviparity. The development of the eggs takes place inside the mother’s body. These animals undergo internal or external fertilization. In many cases the newborn individuals or hatched one looks totally different till the time they become adults. The eggshell act as the covering in protecting the embryo from the outer environment, it also supports and maintains the temperature required for the development of the embryo. The cycle can we well understood by taking an example of a frog, a silkworm. A frog lifecycle starts from the egg →tadpole→ finally into the adult, whereas in case of a silkworm it gets a little long as from egg → larva or caterpillar → pupa → an adult. In both cases, we had observed different looks of the young ones when they hatched out, and the time they get adults. Their features get change and their activities too, tadpoles, when becoming an adult, starts swimming and jumping, likewise caterpillar emerge out in a beautiful moth. This process is known as metamorphosis, where the young ones turned out into an adult. 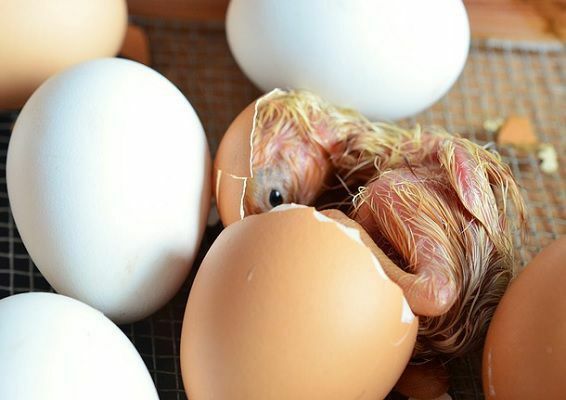 The chances of survival get reduced of the oviparous animals as the other animals can eat them, external shock and trauma may also hamper the growth of the animals. Animals which undergo the embryonic development inside the mother’s womb or female reproductive tract, develop into the young individual and then gets born are known as viviparous. The developing embryo gets their nutrients from the special organ present in the body, which also supports the development of the embryo. This is called as matrotrophy. Unlike the oviparous where the embryo receives the nutrients from the yolk, the viviparous animals are protected from the external shock and trauma, they are being nourished by the mothers. The offspring is when delivered out, it does not have an outer shell covering like in the case of oviparous. Even the mammals possess the mammary glands, which provide milk to the feeding young ones. Humans, cows, dogs, camels, etc. are examples. The offspring is when delivered out, it does not have an outer shell covering like in the case of oviparous. Animals which lay fertilized or unfertilized egg is known as oviparous animals, on the other hand, animals which give birth to the young ones are known as viviparous animals. Oviparous are known to lay eggs, while viviparous animals directly give birth to the young ones. Internal fertilization is common in both, though external fertilization is also seen in oviparous. In oviparous the development of the embryo takes place outside the embryo, but in viviparous the development of the embryo takes place inside the embryo (mother’s womb). Nutrients to the developing embryo are received from the egg yolk in oviparous, while in viviparous the embryo receives the nutrients from the mother. As the eggs are laid in an open environment, without any protection there are fewer chances of survival in oviparous, whereas in viviparous there are more chances of survival, as proper protection and nutrition are provided to the embryo inside the mother’s womb. Insects, amphibians, fish, reptiles, birds, etc are examples of oviparous animals, whereas mammals like cats, dogs, humans, elephants, lions, tigers, etc. These are the process to produce the young ones of the same species and kind. Internal fertilization is possible in both types. From the above article, we can say, that both theses process are equally important and play a vital role in reproduction, but the ultimate goal of every organism is to increase their species number. We also came to know the importance of the process and how they work.